Everything You Need to Lead a Class Plus All Class Materials! Once you volunteer to lead a Financial Peace Military course, we want to prepare you to lead from the front! The Military Leader Materials includes everything you will need to guide you along in promoting, starting and leading the Financial Peace Military course. A step-by-step guide to assist you in leading the group sessions. All FPM lessons on DVD. Dave does all the teaching. Just press play! 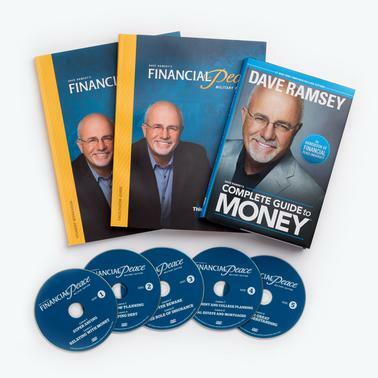 This book will help guide you in your Financial Peace Journey.